This is 7.62x39 Klimovsk 123gr. Lead Core Full Metal Jacket Ammo. 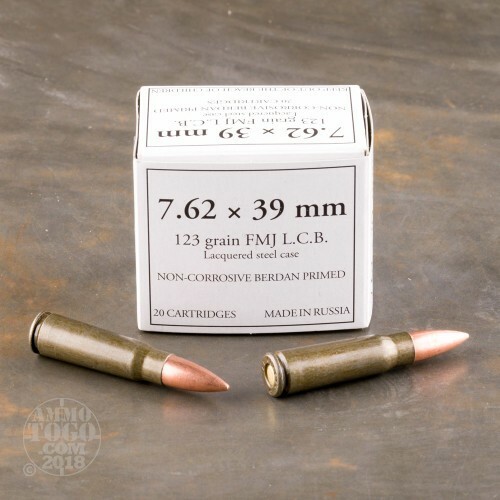 The Klimovsk Specialized Ammunition Plant has produced both top of the line standard ammo and specialized varieties of ammunition for the Russian government for since 1936, but is probably most known for their large line of 7.62x39 cartridges for both military and civil use. This particular 7.62x39 is from their hunting line and is tipped with jacketed lead 123gr. FMJ projectile. This ammo is steel cased, lacquer-coated, berdan primed, magnetic, and non-corrosive. 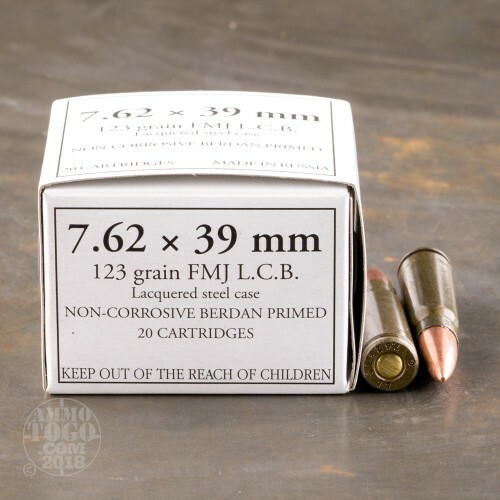 This ammo comes packaged 20rds. to a box, 1000rds. to a case. Muzzle Velocity: Unknown. Dependable with consistent accuracy. Does not damage steel targets! Ammo is good with no misfires so far. Running in 40rd steel mags in AK-47 with Bump-Fire stock. Clip empties completely in one session. Definitely recommend it. In our Oathkeeper/Militia Group in Idaho we are assigned to Fireteams based on which rifle you carry. 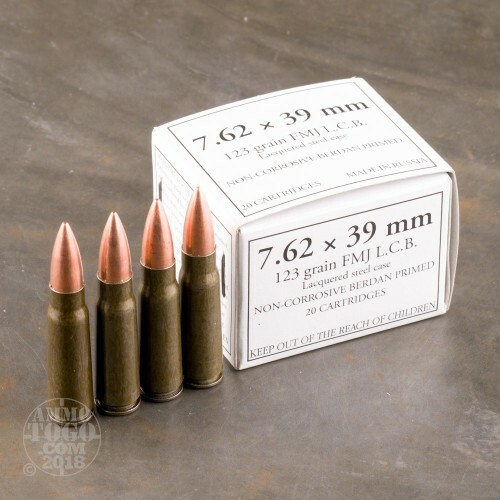 Those of us, carrying a rife that uses 7.62X39 really like this ammunition... We use it for range (train as you will fight and practice what you will use). Going through over 12,000 rounds this year, the group has had no misfires with Klimovs, that were not the fault of the rifle or the operator. 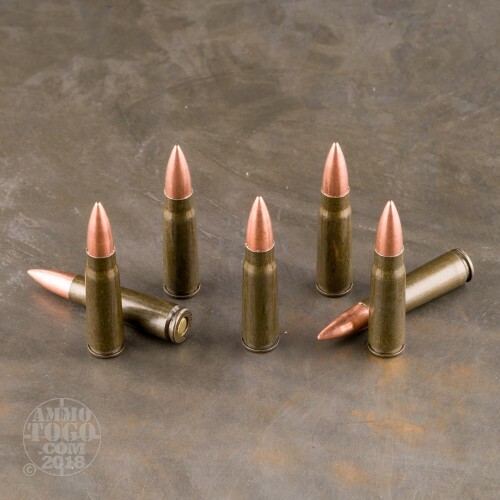 This is our choice ammo to stock for other than range use.